If you've been following around these parts recently then you are aware that I'm taking a break from WWE. I already went over the reasons, so I won't repeat that, but the lack of WWE in my life has freed up some hobby time. I mean, I went from watching Raw and Smackdown every week, plus a PPV every month, to absolutely nothing. So what on earth have I been doing to fill the time? Well, I am just so glad that you, random internet person, asked me that great question. Since my interest in the current product of ROH is also pretty low (I really only enjoy it when they do the NJPW cross promotions), I've been going back and watching some of their older stuff. That means that old Samoa Joe, CM Punk, and Bryan Danielson matches have become the norm for me. It's been great to see the how much their product has changed over the years, as it has definitely veered more in the direction of WWE's product recently. This is more of what I always saw the Indies as when I was getting back into wrestling in 2010. While NJPW has been great, there is a little bit of a disconnect with how the content is delivered to me. See, watching the NJPW PPV's is as easy as going to Daily Motion and finding a video. But that's just the PPV's. Getting caught up with anything else is nearly impossible. Unfortunately the TV Show that runs on AXS is nearly a year behind and those are simply cut up PPV's, set to a television format. 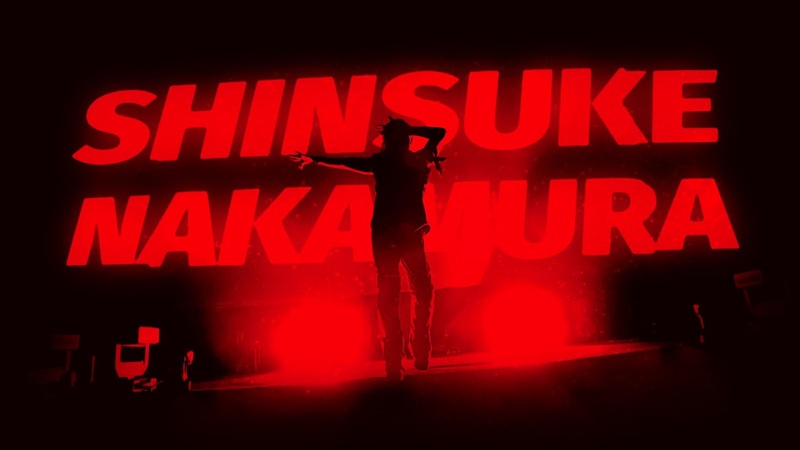 Which means that while I'm watching Kenny Omega defend the IWGP Intercontinental Title online, I'm also seeing Shinsuke Nakamura (current NXT Superstar) defending it on Television. Can you see my frustrations? Thankfully, when it comes to televised wrestling, Lucha Underground has got me covered. If you're a fan of wrestling and not watching the product, please change that immediately because you're missing out on some of the best stuff I've seen in years. Prince Puma (Ricochet from NJPW/ROH) and Anjelico are two people I can't wait to see on a bigger level because they are among the top performers in the world. And I mean, NXT is ALWAYS awesome. But there's actually been something that's got me hooked in recent months that isn't even professional wrestling. *cue audible gasp! * I know, it is rather shocking but I do actually have interests that go outside of wrestling and horror movies (although if you looked at this site, it'd be hard to say otherwise). This does fall under the same umbrella as wrestling, and were even seen as competitors for a while. I am, of course, talking about UFC. Based on my love for Ronda Rousey, it's no surprise that I'm also a big fan of Conor McGregor. I love fighters that can talk crap and back it up. 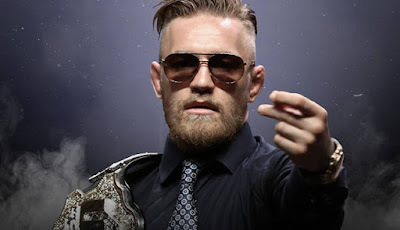 I don't need to see two people are are very respectable and just want to get the W. No, I want to see someone that hates the person standing across from them in the octagon and wants to tear their head off. Why? I believe it's due to the fact that, with my love for wrestling, I love seeing actual heat between two foes. I love knowing that the person who is overly emotional has a distinct disadvantage as they get away from the basics of MMA and play right into their opponents head. Head games are a complete shoot. No matter how many times I've seen it happen, it never ceases to amaze me how Conor and Ronda can both completely psych out their opponents prior to their fights. The only fights I've seen from the both of them, where they let their emotions get the best of them, they lost the fight. This is a great lesson to take, because so often we are guided by pure emotion and don't let our intelligence take over in intense situations. Unlike with wrestling, I never watch UFC and have a desire to get into the octagon. That is just a non-existent aspect for me. So I'm able to watch the fights, much like I do wrestling: I look at how disciplined they are, if they have a specific submission they rely on, and if they play any head games with their opponent. I find it all fascinating and am glad that I was able to get away from the "tapout/redneck" stereotype that has followed it around (which is hilarious given the perception that professional wrestling has to outsiders. How hypocritical of me). I guess that the whole point of this post is to say that I like fighting. Whether it's staged in a squared circle or completely real in an octagon, I get a kick out of it. I blame my childhood of growing up on the Rocky movies, Power Rangers, and Stone Cold Steve Austin stunning Jabroni's (mixed reference there).